A. The fact that you want to honor the truth and honor God with your words is a very good sign. We know how often the Bible admonishes us to choose our words wisely. In fact, the Letter of James says, “The tongue is like a fire.” The way we use our words can either provide light and comfort for someone, or they can do irreparable damage. James also says that one who does not know how to control his tongue deceives himself, and his religion is worthless (Jas 1:26). But since you already know how serious this is, what are some practical tips for implementing the prudent use of language? I came across something that referred to Socrates’ “Test of Three.” I found it to be incredibly helpful in sorting out what should be said from what ought not to be said. It was a story (most likely fictional) about an individual who wanted to share some news with Socrates about one of his people. 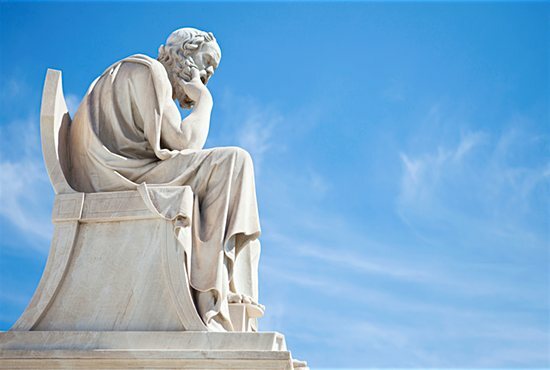 Before he could share the information, Socrates asked him, “Is what you have to share with me true?” The man admitted that he wasn’t sure if the information he had was accurate or not. At this, Socrates challenged him over why he would want to share information that he wasn’t certain was true. This happens to us all of the time. How many times have we heard a tidbit of information about some celebrity, politician or person in our lives, and we were more interested in sharing that piece of gossip than we were in checking out whether it was true or not? This was Socrates’ test of truth. Next, Socrates asked him, “This information you want to share with me, is it good news?” The man replied that it was most definitely not something good. Again, Socrates challenged him regarding why he would be willing to share something that was not favorable when he didn’t even know if it was true. How often do we stumble into that trap? Typically, the kind of information that gets spread is the same kind of information that gets headlines or clicks on the internet. In our fallen human nature, we are often more fascinated and preoccupied with bad news than we are with good news. Yet, sharing someone else’s bad news (or sharing something negative about another person) can be a sin against charity. Lastly, Socrates asked the man, “Is what you have to share with me useful to me?” He was asking if this kind of information (even if it was bad information) was something that Socrates himself could benefit from knowing. How quick many of us can be to simply talk and utter many words rather than weigh whether or not what we have to say would actually help the other person. As Scripture tells us, “Say only the good things that men need to hear, things that will really help them” (Eph 4:29). These questions could be incredibly practical ways that we can learn how to prune our speech so that it does not hurt, but only helps. The “Test of Three” asks the three questions: Is this true? Is this good? Is this useful? If not, then consider it not worth sharing. I hope that helps!